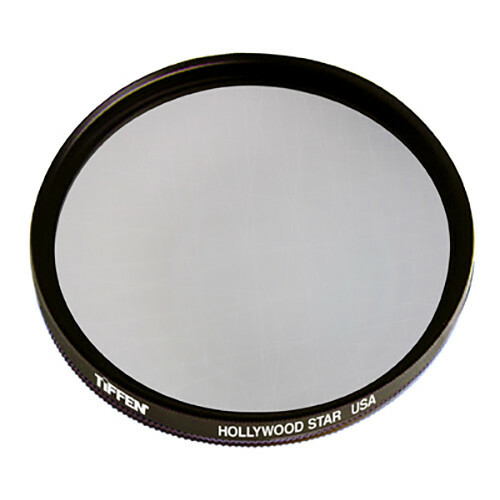 The Tiffen 55mm Hollywood Star Filter is designed to be used perpendicular to a point light source such as the sun, a light bulb, or a candle. Within the filter's surface is a combination of fine, etched line types. Those lines help to create a starburst effect with 14 asymmetric primary diffraction spikes that extend from the light source and are arranged in a pattern which approximates a cross. Box Dimensions (LxWxH) 3.4 x 2.85 x 0.65"